A laundry bag used by Middlesex Laundry. 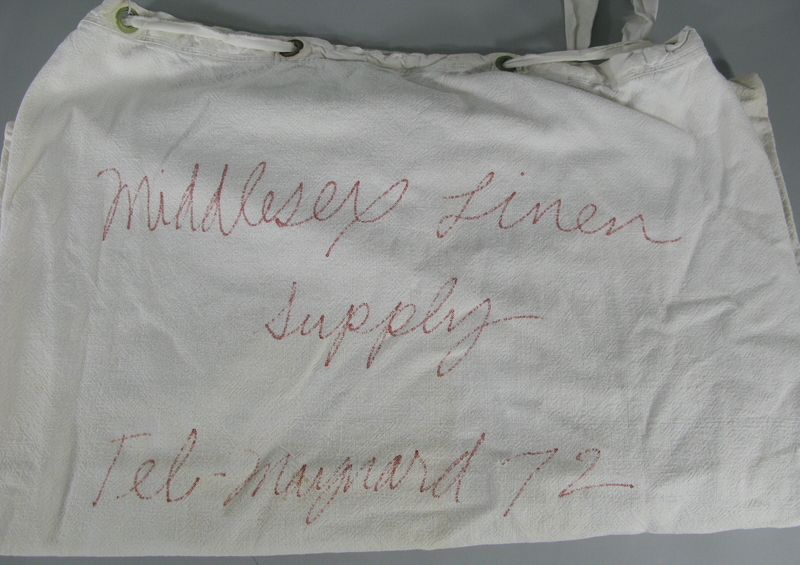 Printed on the bag is "Middlesex Linen Supply Tel. Maynard 72". 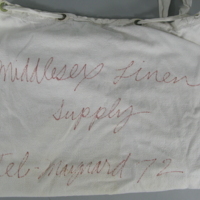 “Middlesex Laundry Bag,” Maynard Historical Society Archives, accessed April 23, 2019, http://collection.maynardhistory.org/items/show/3803.